RED HAT SUES ARE ALL THE RAGE THESE DAYS. EVERYWHERE YOU LOOK YOU SEE ALL KINDS OF RED HAT PRODUCTS. 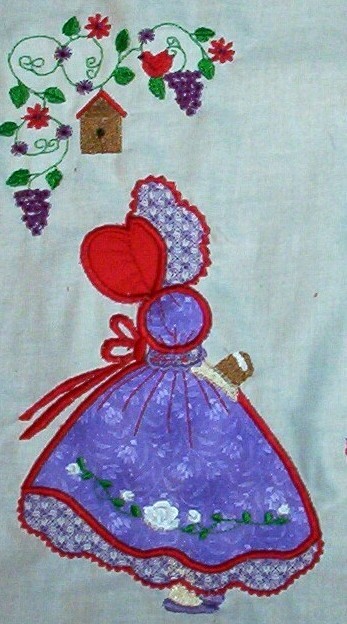 NOW YOU CAN HAVE A RED HAT LADY QUILT. 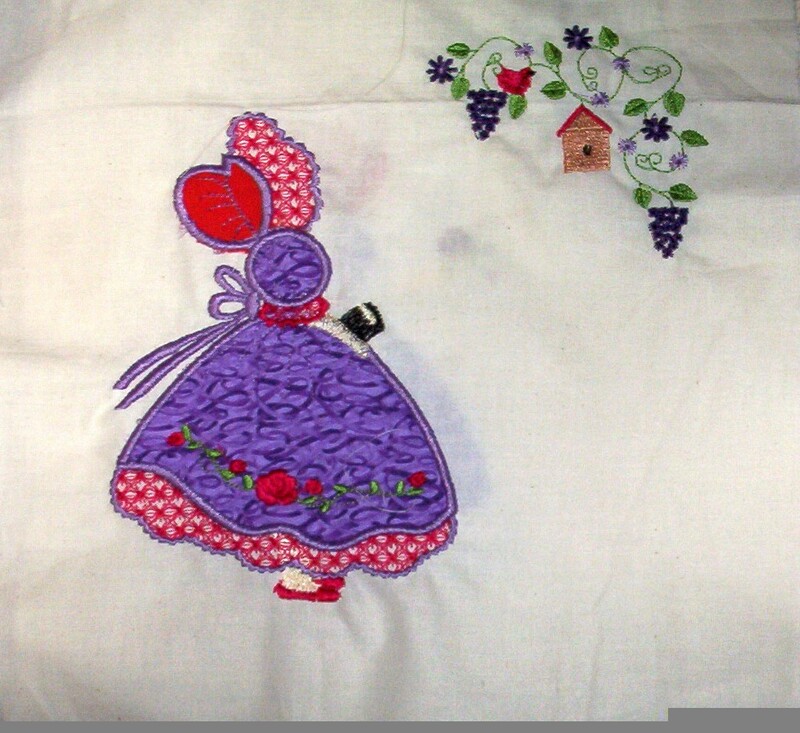 TO DISPLAY OR GIVE TO THAT RED HAT SOCIETY LADY WHO LOVES TO WEAR HER RED HAT AND PURPLE DRESS. WOULD ALSO MAKE A GREAT HEIRLOOM TO HAND DOWN TO GENERATIONS OF FAMILY MEMBERS. THIS IS A BEAUTIFUL QUILT BLOCK. DONE IN APPLIQUE AND EMBROIDERY THREADS. SUES LACY BONNET AND PETTICOATS IS A GREAT OLD FASHIONED LOOK WITH A NEW RED HAT SUE LOOK. FABRICS ARE 100% COTTONS. THREADS ARE POLY NEON EMBROIDERY THREADS. POLY NEON IS KNOWN FOR ITS LUSTRE AND NON FADING QUALITY OVER TIME EVEN WITH REPEATED WASHINGS. 10x10 SQUARES OF BEST QUALITY MUSLIN BACKGROUNDS. WILL CONSIDER CUSTOM MADE PRODUCTS WITH ADDITIONAL TURN AROUND TIME OF APPROXIMATELY 2 WEEKS.